Pervious pavement allows rain water to soak through it rather than running off. This type of pavement is known to reduce polluted stormwater runoff going to urban streams by infiltrating water into the soil below. But can it have benefits in areas where the soil drains too slowly for infiltration? We studied water quality and road conditions from test sections of pervious pavement on a large arterial road in Gresham, Oregon that is on top of slowly draining soil. We compared road sections of: A) Conventional asphalt, B) 8”-think pervious pavement with an underdrain, and C) 3”-think pervious pavement on top of conventional asphalt. nutrients, and heavy metals. The pollutant reduction of the pervious pavement was found to be similar to, or even higher than, reductions from other stormwater management practices in Gresham. 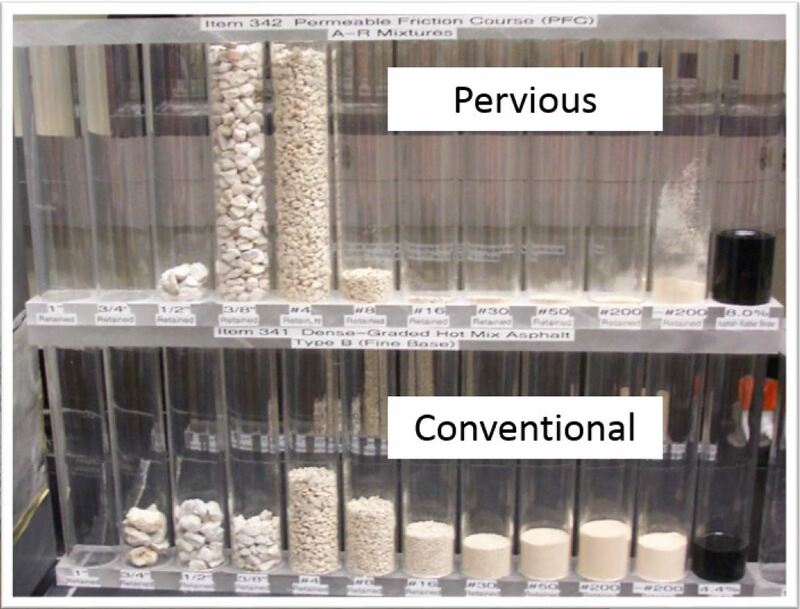 Additionally, we noted that both types of pervious pavement had fewer potholes, less road spray, and less road noise than the conventional asphalt. This study indicates that pervious pavement can have multiple benefits to urban stream water quality as well as local road conditions, even when the soil below it drains too slowly for infiltration. Katie Holzer is a Watershed Scientist with the City of Gresham where she conducts studies of urban stormwater runoff and the effects on local streams. 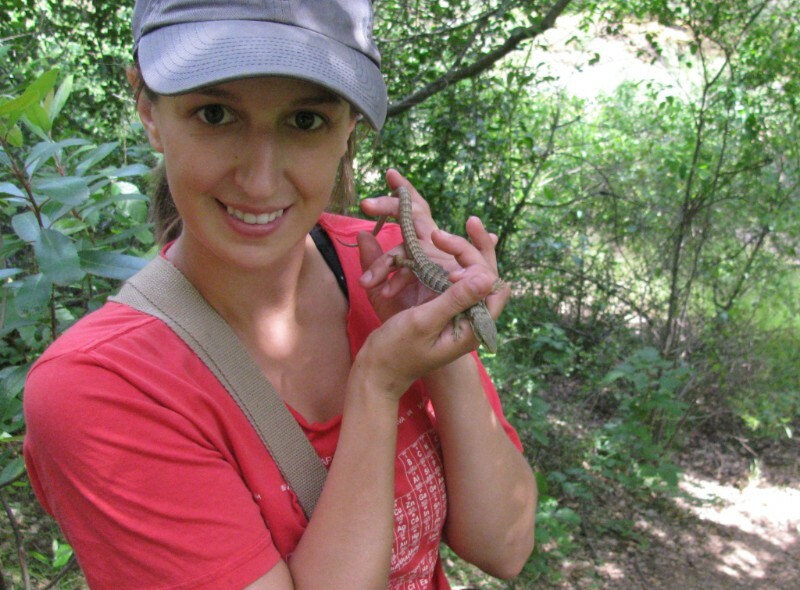 She has a Ph.D. in Ecology from the University of California, Davis where she studied habitat values of stormwater ponds. Katie also does a mean impression of a semi-truck driving on wet pavement!